Truly dignified and amusing at the same time, this English Bulldog comes with a gallon of personality and sense of humor. A brief nap, a walk and another nap on the sofa, is definitely this dogs speed. 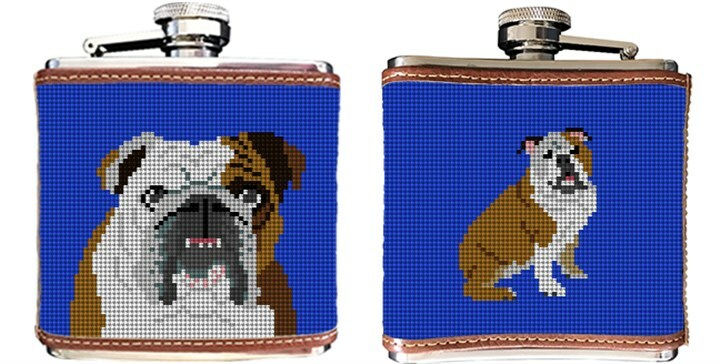 A fun flask canvas to stitch, and later to become the perfect gift for any bulldog lover. When planning your canvas, we would be happy to exchange one image for a monogram.